Singapore, 2018 – dal.komm COFFEE, Singapore’s first music café chain from Seoul, is pleased to announce that popular Korean singer and songwriter Eric Nam will be gracing its first anniversary celebrations on 5 May 2018 (Saturday). Named one of GQ Korea’s ‘Men of the Year’ for 2016, Eric Nam is a talented singer who is also a consummate television show host. He has interviewed many Hollywood celebrities, including the likes of Robert Downey Jr, Matt Damon, Chloe Grace Moretz and more. On 5 May, 120 fans will have the chance to get up close and personal with Eric at a meet-and-greet event at the Marina Square Atrium at 12 noon. These fans will be selected via various channels; including a lucky draw, social media online contests and in-store games. Eric Nam will also be presenting a mini showcase at the event. Last year, multi-talented Korean artiste Kang Gary met with fans during the coffee chain’s launch party. Available only during dal.komm COFFEE’s anniversary weekend of 5 and 6 May, this exclusive Coconut Coffee Mixtur ($8, regular and $8.50, large) is a harmonious and smooth blend of rich and aromatic coconut milk, finished with two espresso shots. This creamy and luscious ice blend definitely makes a refreshing pick-me-up! As a gesture of thanks to all customers, dal.komm COFFEE will also offer a ‘1- for-1’ promotion on the Coconut Coffee Mixtur for the weekend. This promotion is valid while stocks last. 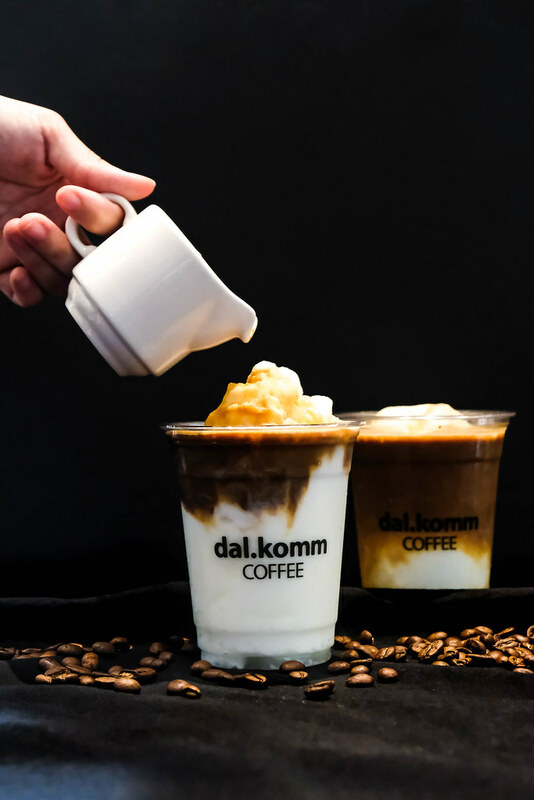 From 4 to 27 April, customers who spend a minimum of $20 or more in a single receipt at dal.komm COFFEE will receive one lucky draw entry slip. The first 20 winners will win a photo opportunity with Eric Nam, while the remaining winners will receive his autograph during the meet-and-greet event.